Ryan has been the head coach of the TWU Spartans for the past 10 years and has led the Spartans to seven Canada West Final Four tournaments – with his team’s best showings being Gold in 2015 and 2016, silver medals in both 2009 and 2011 – and four CIS National Championships, finishing with Gold in 2015, Silver in 2016 and Bronze in 2011 and 2013, fourth in 2007 and fifth in 2009, 2011 and 2014. Hofer was recognized as the 2010-11 Canada West and CIS women’s volleyball Coach of the Year. In 2004 he was recognized as Volleyball Canada’s Male Coach of the Year. That season Hofer went 41-6 and won provincial and national gold medals as coach of the Fraser Valley Volleyball Club’s Blitz U18 team. He was also the assistant coach of the TWU 20U team that won gold at the provincial championship and silver at the national championship. Hofer has additional experience coaching internationally, with Team Canada, as he has been the head or assistant coach at six major international women’s events. Most recently, in the summer of 2016 he was the Associate Head Coach for the FISU games in Korea, in the fall of 2012 he coached his Spartans team, who was representing Team Canada, at the U23 Pan American Cup. 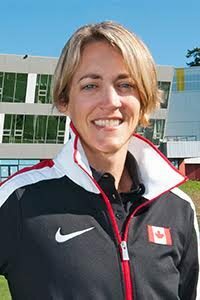 Prior to that, Hofer was an assistant coach for Team Canada at the 2009 FISU Games in Belgrade, Serbia. In 2005, he was also named assistant coach of Canada’s Junior National Team and, in 2006, was the head coach of Canada’s Youth National Team. Charles was the Director of Sport and Recreation for British Columbia from 1997 to 2006 and prior to that was the Multi-Sport Games Manager for the Province of British Columbia during the Canada Games, Commonwealth Games, Western Canada Games, and North American Indigenous Games. He has an extensive background in event organization and delivery and has been a Board or Coordinating Committee member of such events as the World Junior Hockey Championships, the World Snowboard Championships, the World Weightlifting Championships, the Grey Cup, and the World Curling Championships. He has also been a member of many Boards of Directors over the years including the National Sport Centres (Victoria and Vancouver), the BC Games Society, the Canada Games Council, and many others. Charles was a member of the National Men’s Volleyball Team and was Team Canada Captain for his last two years. He has provided beach and indoor volleyball colour commentary or play by play for many networks since 1990 and was part of the CBC broadcast team covering the 1996 Atlanta Summer Olympics, 2000 Sydney Olympics, 1999 and 2003 Pan Am Games, 2004 Athens Olympics, and 2008 Beijing Olympics among many other international events. Most recently, he called the 2009 Canada Games in PEI for TSN, the CSI Women’s Championships in Edmonton, and the 2013 Men’s World League matches for Sportsnet. He was an “A” Director of the Canadian Olympic Committee for eight years and currently sits as the Community Chair of the Sport Management Advisory Committee of the Centre for Sport and Exercise Education at Camosun College in Victoria. Charles is currently the Head Coach of the two-time Provincial Champion and National Bronze Medalist Camosun Chargers Men’s Volleyball Team and was named Coach of the Year for the BC Colleges Athletic Association for 2008-2009. He coached the 2009 17U Provincial Team to a bronze medal at the Western Elite Tournament, the 2010 19U Provincial Men’s Team – placing three members on the Junior National Team, and the 2011 Western Elite Team to a Gold Medal in Kelowna. He received the Premier’s Innovation Gold Medal in Organizational Excellence in recognition of his accomplishments in heading up the celebration of BC’s 150th anniversary as a Crown Colony in 2008 and also headed up provincial support for the involvement of 263 British Columbia communities in the 2010 Torch Relay. Charles retired from work with the Province of BC in May of 2010 and returned to school at the National Coaching Institute of BC, graduating in July, 2011. He is a Level 3 evaluator for Volleyball BC and Chair of the High Performance Committee in addition to being a member of the Board of Directors of Volleyball Canada. In his spare time he writes for The Source magazine.